Classic 18" diamond frame, adjustable riding position, 50-60 miles on flat roads. 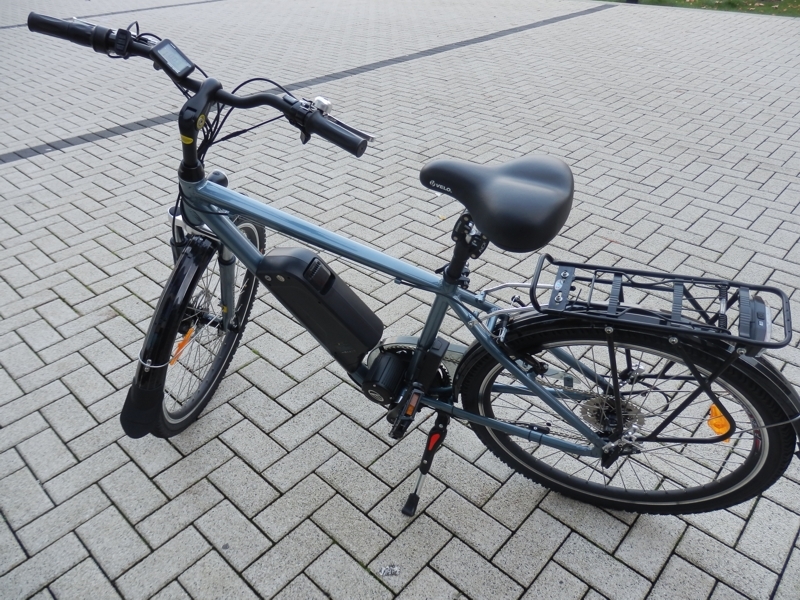 15AH battery, new more powerful chain drive motor delivers exceptional hill climbing ability, natural ride feel. The Krieger replaces the Sirocco CD. Stronger motor and controller, better weight distribution, easier to mount/dismount, better prop stand, simpler wiring. The Krieger has both throttle and pedal assist. To turn on the electrics, press the middle button labelled MODE to the left of the LCD display on the left handlebar. The 8 gears are controlled by your right thumb. Gear 1 is for steepest hills, gear 8 for fastest speed. As well as pedal assist, the Krieger has a throttle on the left grip. Start pedalling or use the throttle (by simply twisting the left twist grip gently down towards you), the motor will kick in and the bike will woosh you along nicely - the motor is very quiet. You can go up more or less any hill. This bike has been given an EN15194 certificate. - Motor and battery mounted inside triangle for better weight distribution and handling. - New upgraded motor with larger magnet core for more torque. - New more powerful controller. However, this power is transmitted through chain and gears, you should squeeze the brake handles slightly to cut out the motor momentarily when changing gears to protect the derailleur. There is also this useful maneuver to change gear more smoothly: throttle up, stop pedalling, thottle down, change gear and throttle up again, very much like you would do with your car.